We love the idea of tinker spaces. 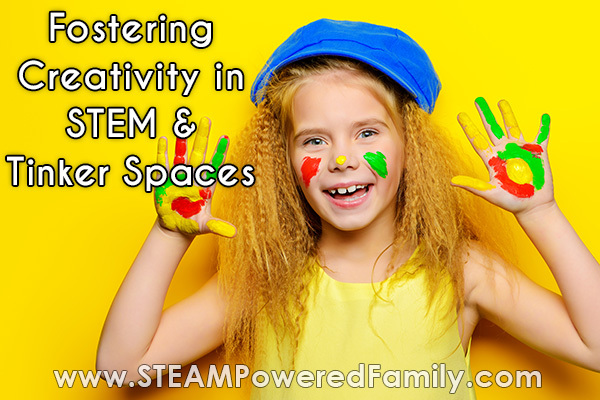 Simply set out a bunch of bits and pieces and let kids use their creativity and imaginations to build amazing things. Learning by experimenting and doing. It’s the ultimate STEM experience. But what happens when your kids look at the pile of stuff and have little imagination for what to build? Lack creative ideas? And struggle with critical thinking and problem solving? 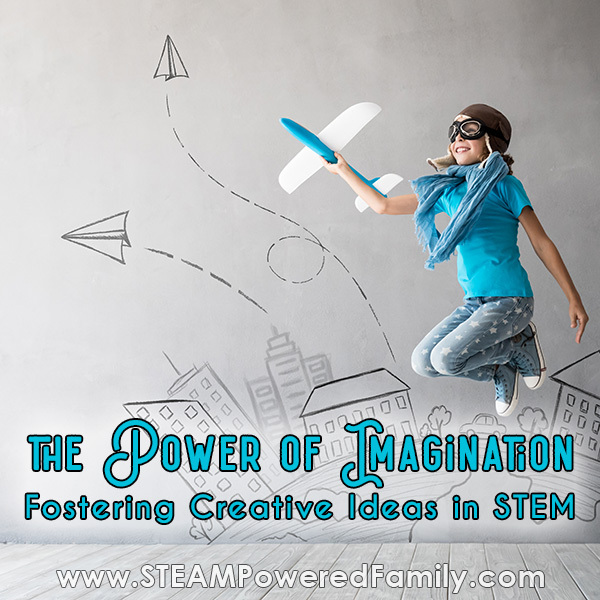 Learn how to embrace the power of imagination and foster the formation of creative ideas with your kids. Disclaimer: This article contains commission and affiliate links. When it comes to exploring why Tinker Spaces may cause stress or struggles with kids, we need to examine a number of possible reasons. Tinker spaces should provide fun, excitement and an amazing outlet for creativity and passionate exploration. 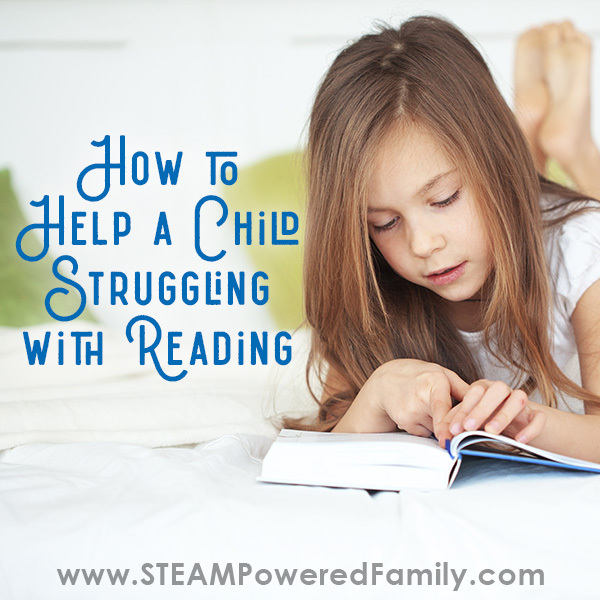 Some kids find them overwhelming, confusing, and frustrating. So how can we turn this around? First let’s look at a few possible causes, including what our educational systems are teaching kids, stages of cognitive development and the psychology of inspiration. I’ve had the interesting experience of witnesses kids growing up in a variety of educational circumstances. No one way is “right”, but there is something I see often in certain classroom situations that is causing, what I consider to be, a major failure in our education system. We are destroying the power of imagination and passion for creativity in our kids. Walk down the halls of almost any early education centre and you will see the walls decorated with cute pieces of arts and crafts. On the surface it can feel wonderful, but the problem is that when you look closer, all the pieces look the same. Each child has created the same piece as all their other peers. If they dare to to anything different they are either penalized by the teacher, or mocked by their peers. Kids are expected to toe the line, follow instructions word for word, to do things “exactly right.” All from a very, very early age. I actually do understand why many teachers feel the need to do this. They have a curriculum in place. Metrics and rubrics they need to adhere to. They have large classrooms. Diverse needs. And very limited time and energy. They can’t afford to have kids chasing passion pursuits or going off with crazy ideas and concepts. Plus how the heck do you mark their work? It’s no wonder kids are taught to conform. To not question. To not think outside of the box. They are taught to sit at their desks. Raise their hands to speak. And to do everything exactly how the teacher instructs. But what about Imagination and Creativity? These systems are crushing these natural tendencies in kids. It’s no wonder some kids struggle with the freedom of tinker spaces when they have been taught over and over again to follow instructions. What is a kid to do when suddenly no one is telling them what to do? Fear of failure and mistakes is a big struggle for many of these kids. Another source of conflict can be a misunderstanding about how the brain develops in children, and having age appropriate expectations for tinker spaces. To be successful with tinker spaces, it is really important that we understand child development and how cognitive functions develop with age. Did you know the ability to think abstractly and reason out hypothetical problems doesn’t develop until adolescence? In Piaget’s 4 Stages of Cognitive Development, this is the 4th stage. It is when people are able to work out multiple solutions to a problem and think scientifically about the world around them. There is a significant, qualitative change in the way people think as the brain grows and develops. It isn’t about adding more knowledge but about processing information in new ways as we interpret the world around us. This changes as the brain develops. We also need to consider cognitive development may have been affected by childhood trauma or other developmental delays. So to expect a child to employ abstract thoughts, deep cognitive evaluations and explore hypothetical problems, with creative critical thinking analysis before their brain is developed enough, is simply unfair to the child and will only result in frustration for all involved. We don’t want to crush a love of learning by expecting too much too soon. So what do we do with kids under 12 years old? We encourage kids to embrace their imagination, explore creatively and do everything we can not to crush their passion for learning and growing. 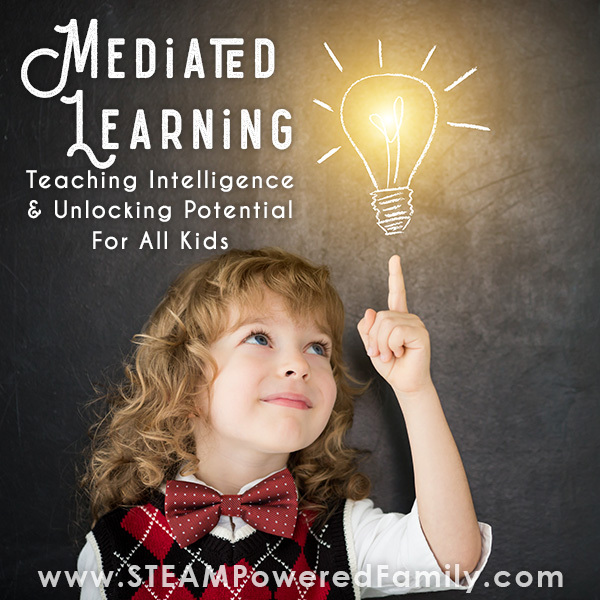 So how do we raise kids to be idea people in an age appropriate (and developmentally appropriate) way? The ones who are thinkers, creators and dreamers? The ones who will one day solve the world’s greatest problems with their out of the box thinking and drive to change broken ways of doing things. We need these people. So how do we raise them? One powerful tool is tinker spaces, but we need to help most kids learn how to use them effectively. Here are some tips I have found work well with kids. Try them and see if you can foster some budding idea people! This has inspired so much creativity in our lessons! There is nothing better than reading a great book and using it to drive inspiration and ideas in your activities. 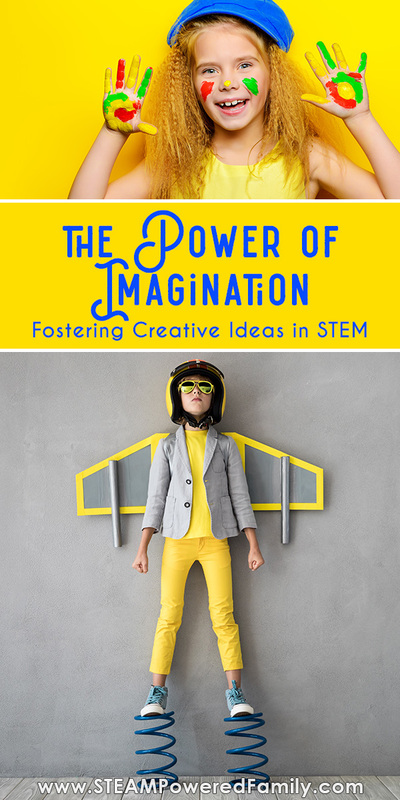 It doesn’t need to be a STEM book or non-fiction, it could be a fictional story that presents the kids with an idea, and you can challenge them to try and solve the idea in their own unique ways. Here are a few activities we have done that were inspired by books. Maybe you don’t have a book to use, instead create your own story and challenge kids to solve the challenge faced by the characters. It doesn’t need to be long, think of word problems in math, but make them interesting and not dumb. No one buys 21 watermelons, but maybe they would if they were hosting the ultimate beach party! When those watermelons don’t fit in the car, a solution is going to be needed to get those watermelons to the beach in time. Have your kids design the perfect watermelon transportation device. With older kids, ask them to tell a story to go with their creations! This involves a lot of creative thinking and may not work for all kids, but if you have a storyteller this could be exactly the prompting they need. It takes the focus off the STEM and puts it onto storytelling which can be more comfortable for some kids. Have you ever been trying to solve a problem or come up with an idea? As a writer I often spent a lot of time daydreaming and looking at the world around me as I tried to imagine what was going to happen next for my characters. Working in a tinker space or on a STEM project is a similar process. So add some posters to the walls of things that can provide inspiration. It doesn’t need to directly relate to the build, but just things that are inspiring, exciting and interesting to look at. Or maybe have a few models or projects built and set up around the room. Again it doesn’t need to directly relate to the challenges or tinker space, but just things that get kids interested and passionate. Provide those little seeds of inspiration and see how they grow into wild, imaginative creations! Sometimes there is just too many options. 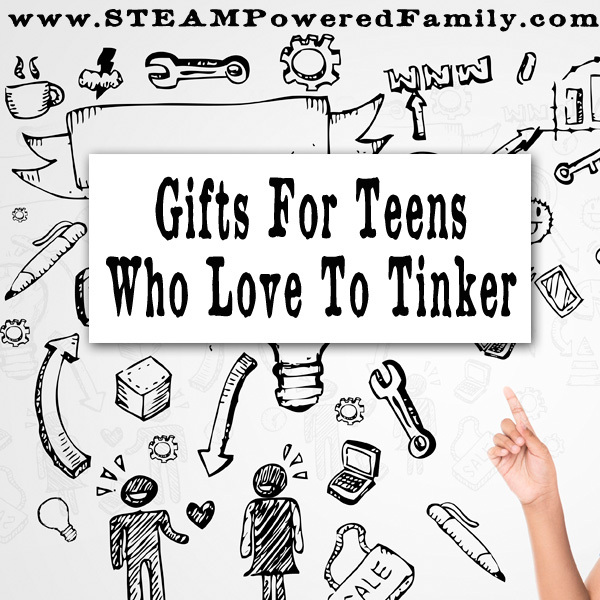 Removing some of the items from your tinker space and providing your kids with only certain items they can use can help kids focus. Sometimes the issue isn’t a lack of imagination but too many creative ideas! If kids are limited to using only certain items in their project it can help them focus and get those ideas into reality. This can be a hard one for some people. They want to help kids fix their creations. They want to teach them how to do things. Instead of just letting kids explore, fail, make mistakes, and grow by doing. Sometimes the best thing we can do is take a step back, and let kids take the reins. No matter where it might take them. Kids often are so scared of making mistakes or failing that they are scared to take a chance and be creative. Help them overcome those fears. Why not have the kids come up with a challenge idea? It can be wild and crazy or something practical and impactful. But let the kids come up with a theme or concept for their creations as a class or group. Then see if they can work individually, in teams, or as a whole class to come up with solutions. Take them through the whole creative, problem solving process. Identify the problem, list what tools and equipment is available, identify strengths and weaknesses for the situation, brainstorm possible solutions. Start testing and building, adjust as needed until a viable solution is found. Going through this process, especially for kids that are in Piaget’s 3rd or entering 4th stage of cognitive development, can help them develop fantastic critical thinking and problem solving skills for life. 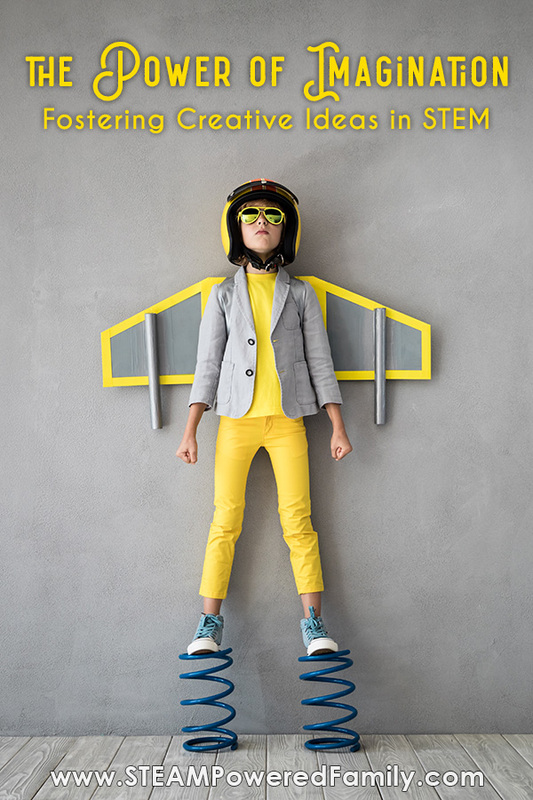 With a little creativity, time and encouragement you can help foster creativity and imagination in all children, helping them become our big idea people for the future. 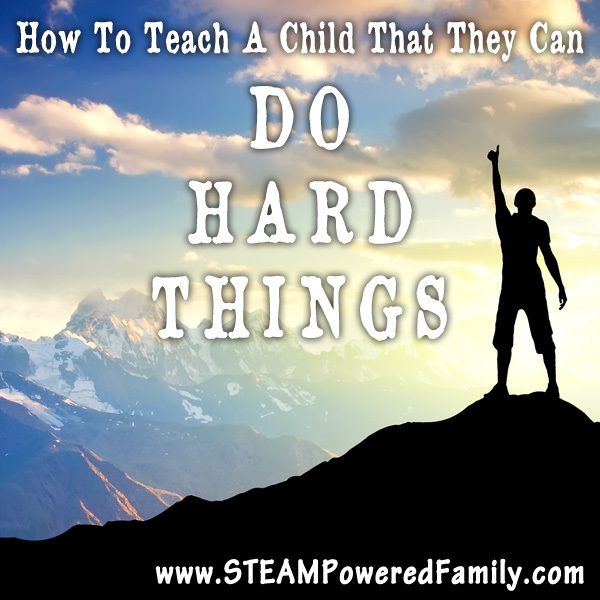 Join the STEAM Powered Family and access tons of free educational resources. 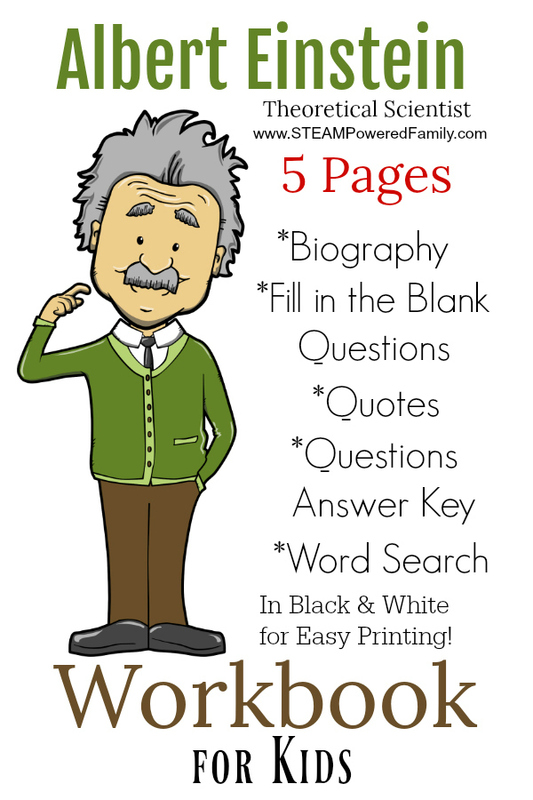 Join right now and get a free Einstein workbook!